Dr. Fitten Lamar McMillin Jr., age 74, died on Monday, Dec. 3, 2018, at his home in Vicksburg. He was born on July 25, 1944, to Dr. Fitten Lamar Sr., and Claudia Howard McMillin. A native of Little Rock, Arkansas, he graduated from Sewanee Military Academy and received a bachelor of arts degree from the University of the South in Sewanee, Tennessee, and a master of arts degree from the University of Arkansas in Fayetteville, Arkansas. He received his medical doctorate from the University of Arkansas Medical Center in Little Rock. His post-graduate medical training was at the University of Minnesota in Minneapolis. 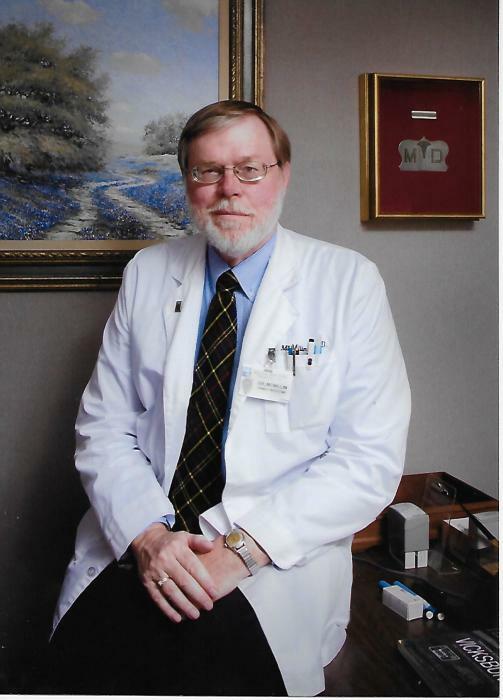 Dr. McMillin practiced family medicine for 35 years in Vicksburg, where he was also an active member of The Church of the Holy Trinity, the Vicksburg Foundation for Historic Preservation, the Lions Club, Sons of Confederate Veterans, The Heritage Guild, and many more historical and preservation organizations. He was a licensed Vicksburg National Military Park Guide and served on the advisory board for the Mississippi Symphony Orchestra and on the planning board for the Tercentenary of Fort St. Pierre. Dr. McMillin was a proud and contributing member of several Clan MacMillan/McMillin organizations. He and his wife lovingly restored the antebellum home “The Mary Harwood”, where they lived and raised their family. They were in the process of preserving “Catherine’s Palace”, an 1839 grocery store and residence in Vicksburg. Dr. McMillin created and produced the Vicksburg Preservation Celebration Weekend in the fall of 2017 to celebrate the city’s rich history and heritage. His life and his love for history, architecture, genealogy, and his patients was only surpassed by the love he had for his family. He is survived by his wife of 44 years, Carol Lee Ellingson McMillin, his three children, Ashley McMillin Moomaw (Charlie), David Lamar McMillin (Grace Lo), and Stephen Lee McMillin (Jennifer Lynne), and his six grandchildren, Grayson McMillin Moomaw, McMillin Strum Moomaw, Baby Moomaw (due date of March 7, 2019), Ethan Lamar McMillin, Lynlee Rhodes McMillin, and Lyla Elizabeth McMillin. Visitation will be on Thursday, Dec. 6, 2018, from 7-8 p.m. at Glenwood Funeral Home. Funeral services and celebration of a life well-lived will be at 11 a.m., Friday, Dec. 7, 2018, at The Church of the Holy Trinity, preceded by visitation in McInnis Parish Hall from 9 a.m. until the time of the service. Glenwood Funeral Home is in charge of arrangements. Pallbearers will be Reverend Tommy Bye, Mr. J. Hodge Alves, Mr. Fleetwood James, Mr. Donald Maginnis, Dr. Walter Johnston, and Mr. Matthew Howard. Honorary pallbearers will be Mr. Mike Finney and the other Sewanee Military Academy "Band of Brothers", Members of the Vicksburg Lions Club, members of the Sons of the Confederate Veterans, The Vicksburg Military Park Guides, and Mrs. Dorothy Brasfield and choir members of the Church of the Holy Trinity.